Two of the top 10 MTB riders compete for top rank @ MTB Himalaya. 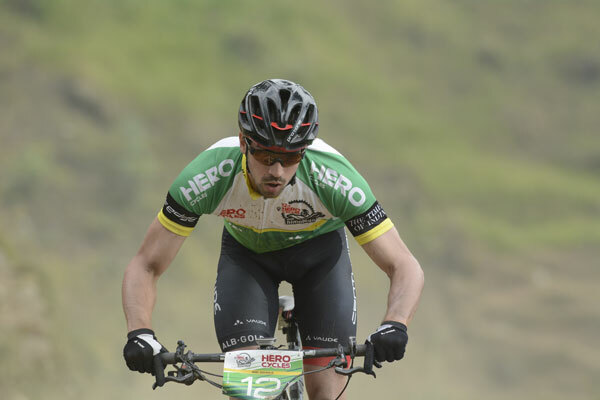 The 14th edition of the annual Hero-MTB Himalaya cycling challenge is set to begin on September 27 from Shimla to conclude in Dharamshala on the 6th of October. This 9-day extravaganza will showcase some of the best professional cyclists from around the world riding alongside aspiring young talent from across India. The route divided into 8 stages over 9Days would travel a distance of 650KM touching 16,000M elevation. This year the top two riders include Andi Seewald and Ole Hem, both top 10 finishers in the recent, global UCI MTB World Marathon Championships finishing 8th and 10th respectively. Alongside is Germany’s Seewald, who was 2016 winner in both the men’s solo and overall events at the King of Himalaya event, Hem won the Norwegian Championship XCM in June 2018. Also coming back is Australia’s Jason English a legendary 7 time world champion in 24 hour mountain bike racing. Other notable competitors include Insync bike brand ambassadors Harry Molloy, English X3 champion and second place finisher at the European Cup held in Italy and Patrick Robinson, the UK’s 2018 Street Velodrome National Champion. “This is the most competitive rider lineup for any cycling race in India where two of the top 10 riders will be facing off for the King Of Himalaya Title, Endurance sports enthusiasts have very big reason to celebrate this September,” stated Mohit Sood, Organizer.